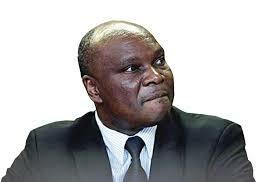 FORMER Minister of Mines and Mining Development Walter Chidhakwa yesterday appeared in court charged with abuse of office after reportedly appointing former permanent secretary in his ministry Professor Francis Gudyanga as a lone board member at the Minerals Marketing Corporation of Zimbabwe (MMCZ). The court heard that Chidhakwa was aware that the MMCZ Act required a minimum of six board members and a maximum of 10. Chidhakwa (53) appeared before Harare magistrate Ms Josephine Sande facing abuse of duty as a public officer charge. He was granted $300 bail and ordered to surrender his passport and reside at No. 47 Drew Road, Chisipite in Harare. Prosecuting, Mr Tapiwa Kasema had opposed bail saying Chidhakwa was a flight risk because he was a man of means who is internationally connected. “The evidence is clear that the accused appointed Prof Gudyanga as a permanent secretary in his ministry and a single board member at MMCZ since December 2013 to 2016,” said Mr Kasema. “The State case is strong and the accused is likely to flee. He is a man of means and is internationally connected,” he said. In response, Advocate Terence Hussein said Chidhakwa had been in Belgium, but voluntarily came back passing through several countries. “Why would he leave his family and interest for a charge that comes with a fine? Prof Gudyanga who is at the centre of the allegations was granted bail, who else matters in this case?” he said. Ms Sande ruled that there were no compelling reasons advanced by the State to warrant detention of the accused. Mr Kasema is alleging that in December 2013 Chidhakwa corruptly dissolved the MMCZ board. He allegedly showed favour and appointed Prof Gudyanga to act as the sole MMCZ board member until 2016. The court heard that MMCZ Act Chapter 21:04 says a board must comprise a minimum of six members and maximum of 10.